Hello and welcome to our July e-bulletin. In the wake of the Brexit referendum and and the related shake-up in Government, there will be much interest in how these changes will effect travel and transport. As of 14 July, we have a new Secretary of State for Transport in Chris Grayling. So far he has endorsed HS2 and pledged to address airport capacity in the South East (17 July). Little is known yet on other pertinent questions, such as the status of transport projects in receipt of EU funds or the outlook on access to EU funding opportunities / replacement with domestic funding sources. Watch this space. In the meantime, the DfT Access Fund (details below) has been announced, with an application deadline of 9 September. Given this context as well as developments in technology and other areas, we have set 'Sustainable Travel in a Changing World' as the theme of our next Annual Conference & AGM (17 January 2017) and have published a call for papers, sponsors and exhibitors. If you're in the office rather than enjoying the heat wave, below you will find our latest news, events and more. 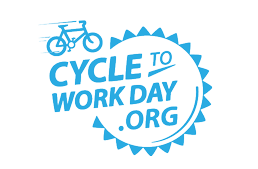 It's time to be cracking on with plans for Cycle to Work Day (14 September) and European Mobility Week (16-22 September) which culminates in a car-free day. Please note that job postings are now found in the sidebar of the e-bulletin. We encourage you to send in your news, job postings and event listings for future issues of the monthly e-bulletin. Just email them by the end of the month. This is a free service for members (£100 per item for non-members), reaching 4,000 people. Also anyone may submit email addresses that you'd like added to our e-bulletin distribution list here. If you are an Act TravelWise member, please contact Randall Ghent ([email protected]) if you're interested in getting training and support with your bid. When people move to a new city or neighbourhood, this is an ideal time to reconsider old travel habits and try out more sustainable modes. If these are immigrants with a different cultural background, they often have different needs for information and education than newcomers from the same or neighbouring countries. And for quite a few of them, having access to sustainable alternatives to the car is an essential condition for their inclusion in society. In this e-update we will present several projects and studies that have looked into the mobility management options for such new residents, both native and non-native. European Mobility Week returns in September 2016 (16-22 Sept), and now is the time to start organising local campaigns! The theme for the 2016 is 'Smart and sustainable mobility - an investment for Europe'. A newly released Communications Toolkit provides all the logos, graphics, templates and guidelines that you may need. You can also download 'best practice guides' with case studies from local campaigns in 2015 and previous years. Following upon a successful and well attended second meeting of our NHS Travel & Transport Managers' Forum on 12 July, the forum's third meeting will be held on Tuesday 13 September from 2:30-4:30 pm at BuroHappold in London, with an option to join via teleconference.